Ever have one of those days? 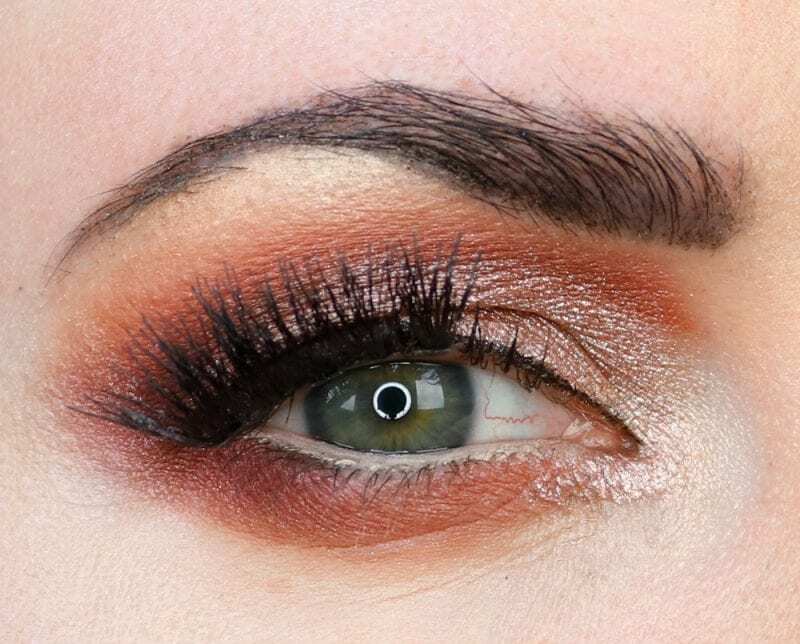 When I created this Urban Decay Naked Heat Look I was having a day. I have a new mic. I tested my new mic in a short video. It worked fine. I shot a very long 20-minute video and it didn’t record the sound. I tested it again and it worked. So this is my pretty look for that video that I’m going to have to reshoot. 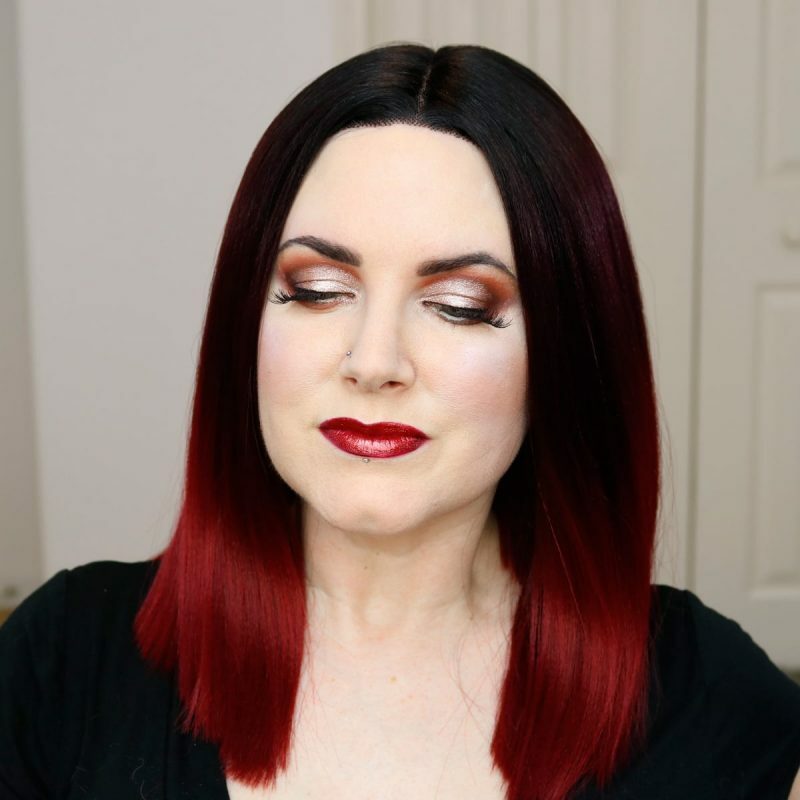 I played with the new Sigma tinted eyeshadow primers to create the base for my Urban Decay Naked Heat Look. I put Bubbly on my lid, though I extended my lid onto the hood of my eye the way that Mickey has done. I shaped around that with Sorbet, and also put it on the lower lid. I blended Hookah into the outer v area. I mixed He Devil and Turkish Bath together and applied that on top of Sorbet. I packed Pink Champagne on top of Bubbly. I deepened the outer V with Ashes. I blended out the edges of He Devil & Turkish Bath with Ounce and Chaser. I highlighted with Thunderstruck. My face routine lately always starts the same way – after applying Emme Diane SPF 58 to my face, I put on Milk Blur Stick and blend it out with my fingertips. I apply Milk Supernova to my cheekbones to highlight and blend that out. I used the Body Shop Matte Clay Concealer on my areas with the most redness around my chin and nose (I have that zit by my chin from my rosacea flare that is taking weeks to go away). I also conceal under my eyes. This concealer just melts into the skin. Love it. 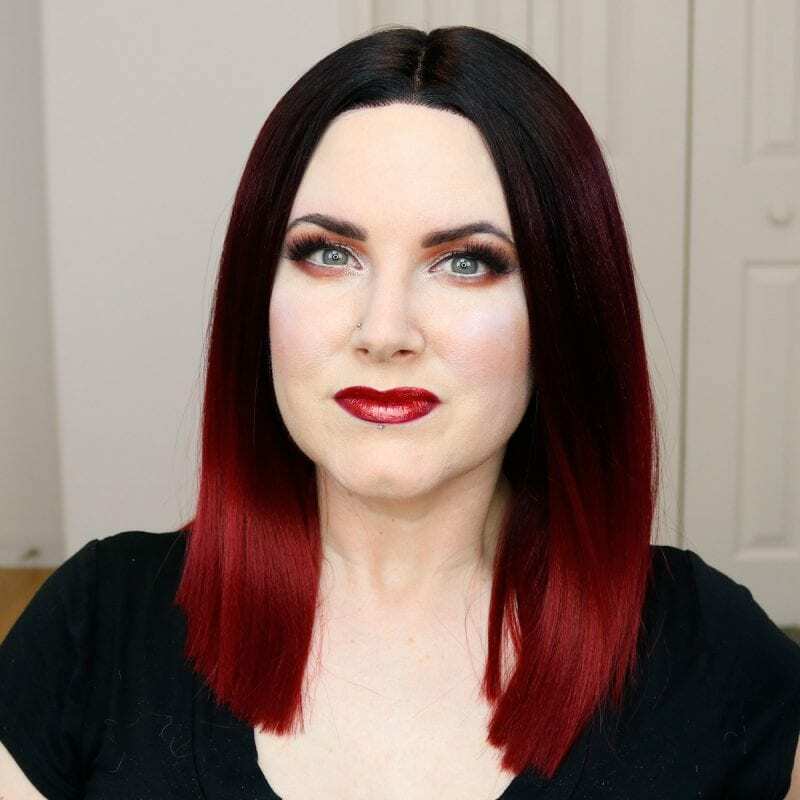 I tried something different for my foundation. I mixed the Lush Jackie Oates Color Supplement with Hourglass Veil Mineral Primer and put that all over my face. I used a bit of Hourglass Ethereal Light to set the foundation. I applied Plum Rose as the bottom / back shade of my blush, sort of draping it, with The Princess Daiquiries towards the front. I highlighted with White Raven and then added a tiny bit of Thunderstruck. For my lips I lined and filled them in with Bloodmilk. I put Singe on top, then blotted, then applied another layer of Singe and blotted again. I finished with Dazzle for the ultimate sparkly red lips. I was saddened to see that it looks like Lush has discontinued Jackie Oates. This is the first time I’ve actually enjoyed wearing it and I loved how my skin looked. I hope they release something with a similar finish and feel. I should have mixed white into it though because it’s pretty easy to see in the photos how my chest and neck are lighter than my face. 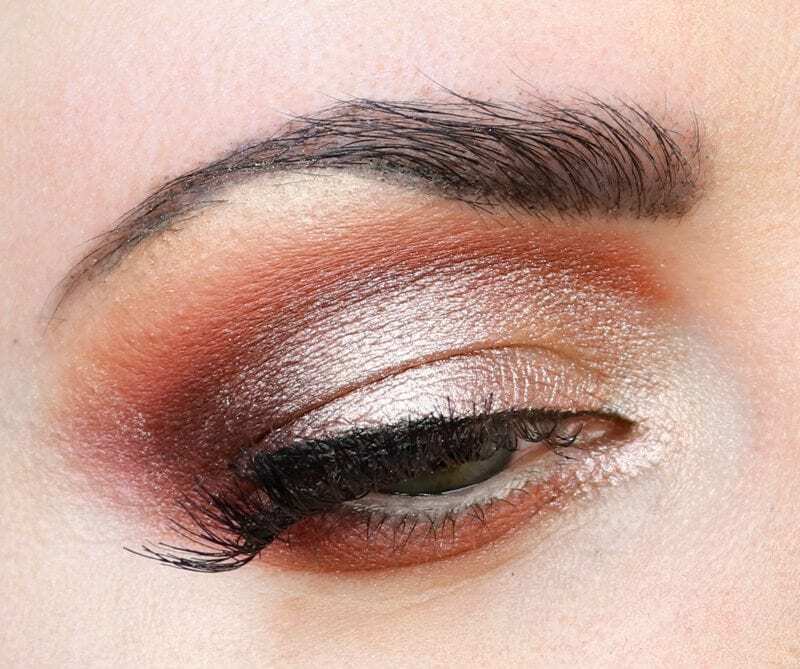 While I’m still not much of an orange eyeshadow fan, I really do love peaches, reds and burgundies. I think my Urban Decay Naked Heat Look turned out very nice! 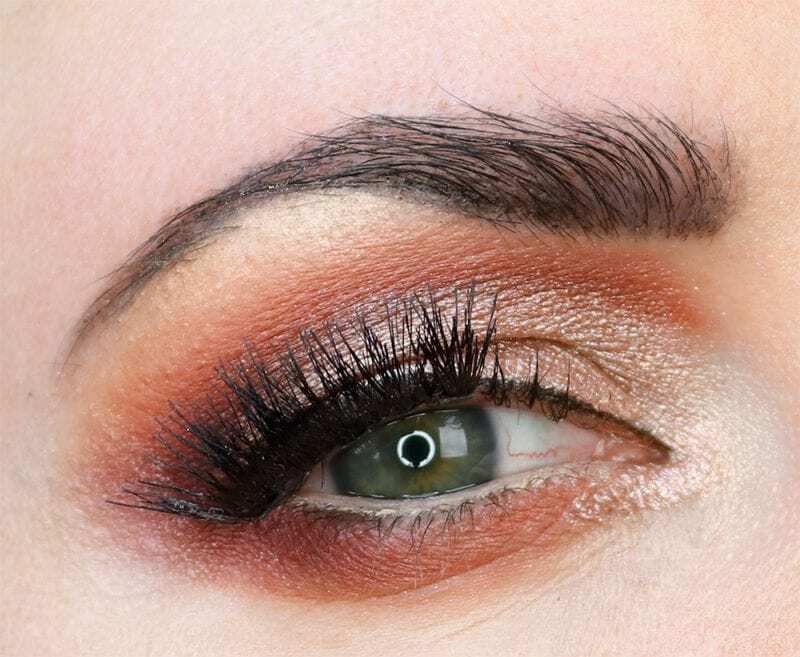 Hopefully, it will give you some inspiration on what to do with your UD Naked Heat palette if you haven’t used it in a while. 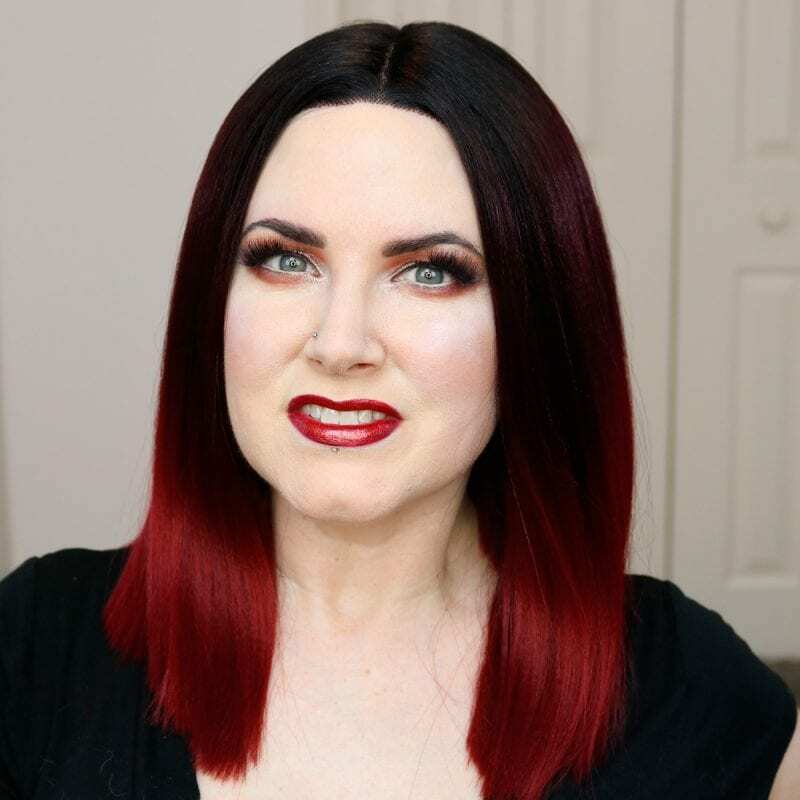 You can see my Urban Decay Naked Heat Review here. 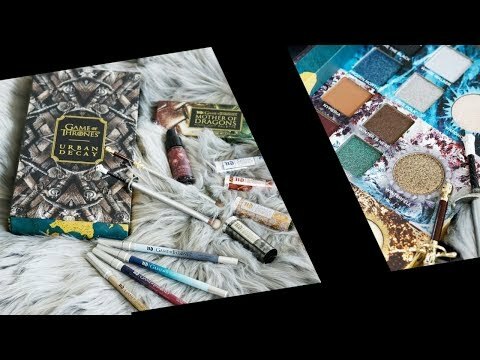 You might like my Naked Heat Alkaline Tutorial or my Naked Heat vs. ABH Modern Renaissance too.